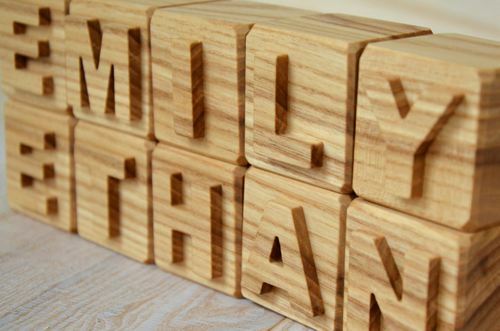 2 inches large carved personalized wood name blocks - a great Christmas gift for children or a perfect personalized gift on Mother's Day! 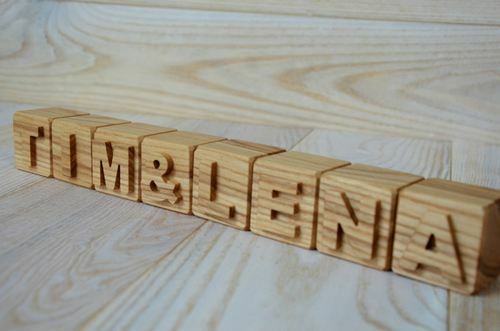 These personalized wood cubes with letters are made of ash with a great looking decorative texture and natural wood smell. You can use them for nursery, as a kid's room wood decor, home wood decor or a wedding decor. 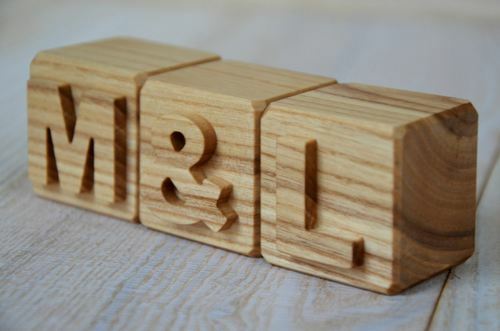 We can carve any letter, number or a symbol on these blocks. 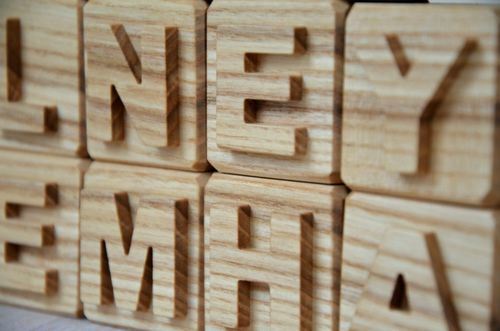 The price is listed for 1 personalized wood block. The letters are carved on one side of each block. Please choose if you want us to polish this set of blocks with natural beeswax polish or we should leave them unpolished with wax. If you plan to paint or color them afterwards, please choose "no wax polish" when placing an order. 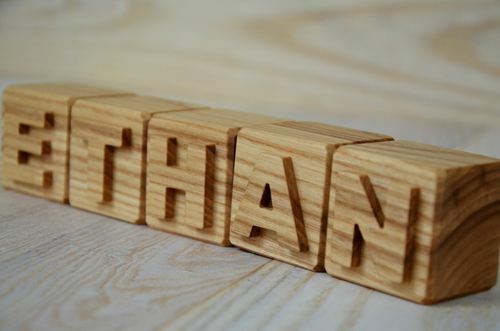 If you love all natural wood, you will fall in love with these wonderful wood blocks .